After Samson gave the 30 pieces of clothing to the 30 young Philistine men at his wedding, he returned to his father’s house. After Samson had calm down, he went to Timnah to lay with his wife. But when he reaches there, he found out that his wife was given to another man. 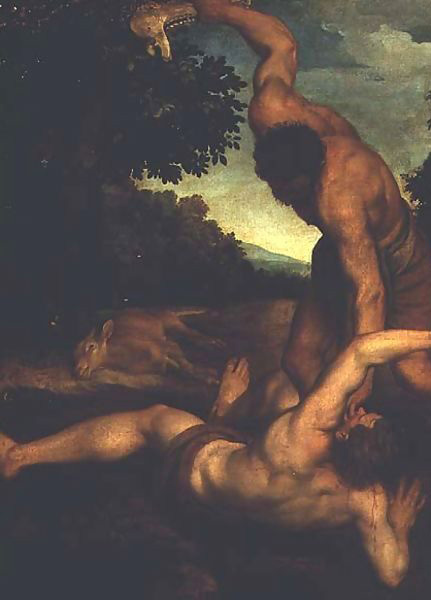 Samson’s anger was aroused. Samson went and caught three hundred foxes. He tied the foxes tail to tail and put a fire stick between two tails. Then he let the foxes run free into the Philistines’ corn field, vineyards and olive groves and everything was burned up. The Philistines were angry and they burned the Philistine’s woman and her family. Samson said to the Philistines, “Since you have done this, I will revenge and kill all of you.” Then Samson killed the Philistines with his hip and thigh. After that, the Philistines decided to wage war against the people of Israel and they set up their camps in Judah. They bound Samson with two ropes and bring him to Lehi. When the Philistines saw him, they shout at him. Then the Spirit of the Lord came upon Samson and he broke the two ropes. Samson found a donkey jaw bone. Samson used the donkey jaw bone to kill 1000 Philistines. After Samson had finished killing the Philistines, he felt very thirsty. He prayed to God to give him some water to drink. So God split a hollow place in Lehi, and water came flowing out from it. Samson drank the water and felt refreshed. Samson judged Israel for 20 years.